The Slemma Data Blending feature allows you to combine data from multiple data sources in one chart by common dimension. It works well when you want to visualize metrics from different data sources over this dimension. 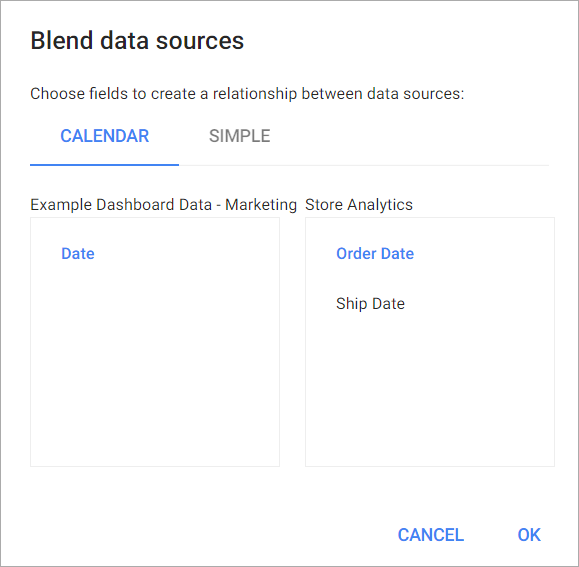 NOTE: Data Blending is not available for Google Analytics and Google Adwords connectors. Click the plus button at the bottom right corner. 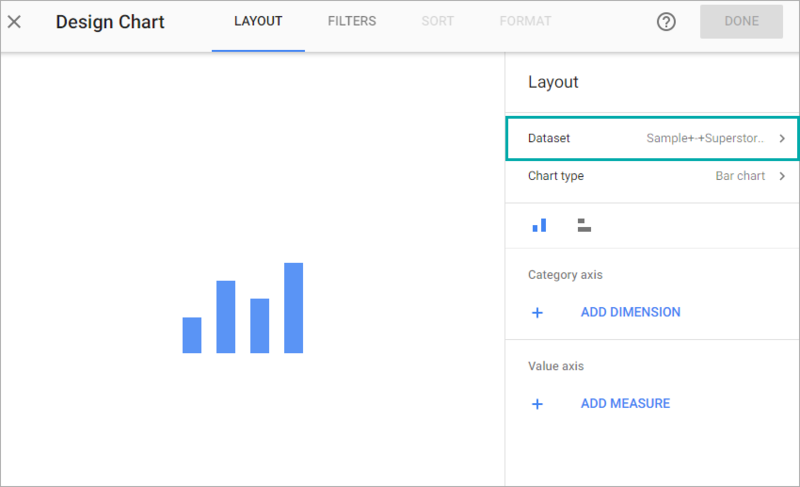 Select Saved chart or Dashboard from the submenu. Click the row with dataset name. 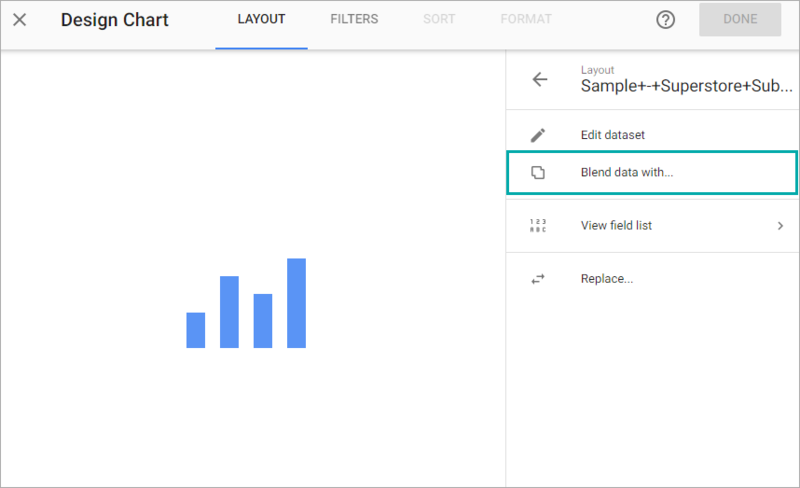 Select Blend data with. This will blend the current data source with any other existing or new data sources. Select the secondary data source from library or create a new one. To combine the sources by time dimension, select the dimensions for both sources on the CALENDAR tab. 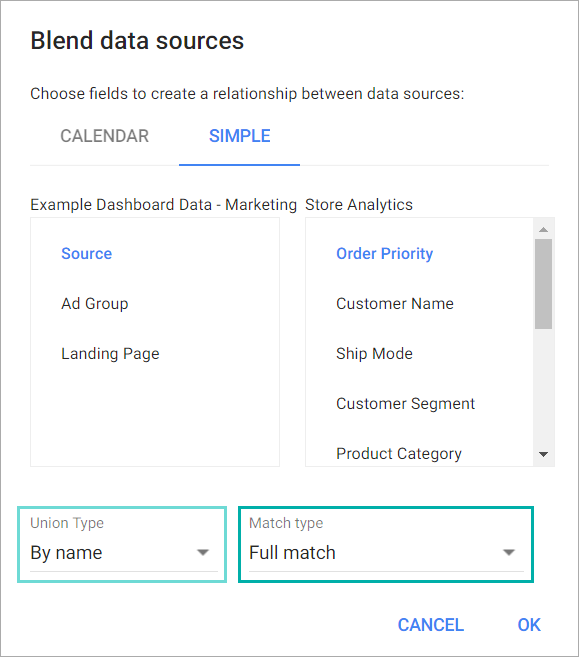 To combine the sources by any other dimension (non-calendar), select the dimensions for both sources on the SIMPLE tab and choose the Union type (we recommend to use By key option for database data sources and By name option for others) and Match type. Slemma will create a virtual data source with a list of measures from both data sources and a common dimension. Individual dimensions from data sources will be available only as filters. To change the series type, go to Format > Elements > Series, select the desired series, click the Series type row and choose the desired type.